①Representative office: this is usually a liaison office and doesn’t hold its own corporate legal status. Their main purpose is to conduct market surveys, or take care of the transactions between the business owner’s country and Japan, before the official incorporation of the company. These offices are not allowed to engage in sales activities or sign certain contracts in their own name. In case the company is sending over foreign employees to work at its representative office in Japan, they must have a valid residential address different from that of the office in order to qualify for the status of residence (as intracompany transferee). ②Subsidiary companies： As defined in Japan’s Companies Act , this refers to the action of investing a certain capital with the intention of opening up a company. 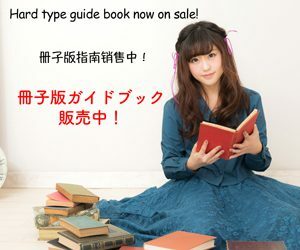 The procedures needed are similar for foreigners and Japanese nationals. Once the establishments procedures for a company has been completed, they are allowed to engage in import and export of products and sales activities, as well as signing off contracts in their own name, and any other administrative procedures. 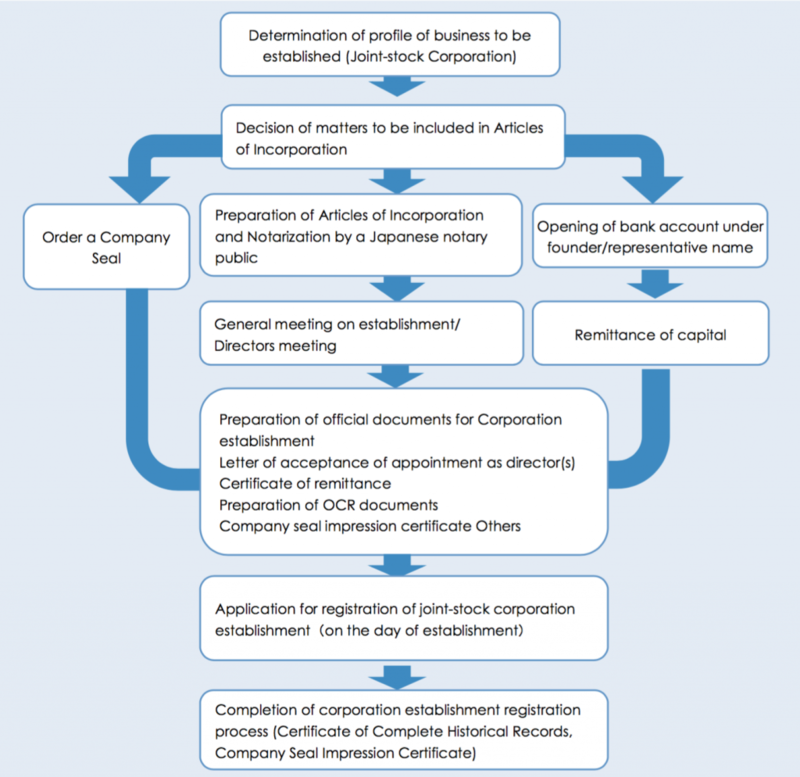 Limited Liability Company (LLC, Godo Kaisha)： This type of business structure has been adopted after the revision of Japan’s Companies Act in 2006. In the case of a joint-stock corporation, the size of the investment (duties) determines the dividend (rights) for the investors, but in an LLC, it is possible to stipulate specific investments options and share distributions percentages. It is important however to mention that, in Japan, LLCs are being called so simply because of the freedom of action, and that in reality, they do not offer the same advantages as LLC in foreign countries, such as benefits on the taxation system. Greater freedom of actions can encourage greater rivalry between investors, hence the importance of precise and detailed Articles of Incorporation. Other types of companies：other than NPOs, General Incorporated Foundations are also considered as nonprofit organizations. Educational institutions as well as social welfare institutions are also categorized as companies. Foreign investments into these type of institutions are however very rare. These companies are commonly referred to as Domestic Corporations, as opposed to foreign corporations. ③Establishing a branch office in Japan: This is the procedure for opening up a branch office of a company in Japan. A preliminary requirement is to have an already established mother company operating according to the laws and regulations of the country of origin, and the range of activities within Japan will be the same as in the home country. In addition, the accounting books must be kept following the home country yearly schedule, which makes the procedures more complicated and in reality, the branching option is seldom chosen. Branch offices do hold their own legal corporate status and can be contract holders. Purpose of establishment Market Surveys and success prospect, seeking business partners. Advertisement and promotion before establishment. Doesn’t hold its own legal corporate status. Full-scale business activities in Japan. Multiple investors possible. Dividend ratio proportional to investment share. Full-scale business activities. Multiple investors possible. Types of investments and dividend ratio can be defined in the Articles of Corporation. Continuous business activities in Japan. Bank accounts settings, contracts, import/export and similar procedures can be completed under the branch’s name. Responsibilities of Management Since a representative office cannot sign contracts, company of home country is held responsible. The joint-stock company director The Limited liability company employees and the representative employee Company of home country must be responsible for management. Possibility of engaging in litigations Not allowed. The parent company is not allowed to. Only allowed for the subsidiary in japan itself The parent company is not allowed. Only allowed for the subsidiary in japan itself The parent company is allowed to. Procedures for closing the business None Usual Procedures for dissolving/ liquidating a company. General meeting of the shareholders Usual procedures for dissolving/liquidating a company. General meeting of partners. Procedures for office closure. Can be a rather complicated process. Can take time, including notice of closure. ※Separate fees are applicable for seal stamps, rubber stamps, certified copy of register (certificate of registered matters) and if have the necessary documents prepared by a specialist. To establish a joint-stock corporation, it is necessary to list a number of important matters in the Articles of Incorporation, to have it notarized by a notary public and then registered at the Legal Affairs Bureau. Below are the important items that must be included in the company’s articles of incorporation. Verify through the Legal Affairs bureau/Internet, that the same or similar sounding corporation name doesn’t already exist. Furthermore, for management of businesses such as fishery, manufacture of leather products, manufacture related to weaponry, communication business, manufacture of biological products (vaccines), it might be necessary to notify the Bank of Japan in advance. It is necessary to choose and secure a location beforehand. In principle, the manager (owner’s) house can be registered as an office, but it is necessary to confirm with the real estate contract that the rented place can be used for business purpose. Meantime, under a Business manager residence status, practice of business at one’s home is generally prohibited; hence it becomes necessary to secure an office anyway. Structure establishment Possibility to establish a company even with just one director. However, expansions in the future will require restructuration. If a company plans of expanding its activities and issue a considerable number of shares in the future, it is preferable to set a large number of authorized shares in the articles of corporation, so that when the need to issue new shares present itself, shareholder’s general meeting and notification of changes can be skipped. Shareholders general meeting resolution Investors can decide by rule of majority to either tighten or lighten the requirements for a resolution, within the legal boundaries. Accounting period can be set at convenience. However most companies in Japan close their fiscal year in Japan in March, so by choosing a less busy time of the year, requesting a tax accountant will be easier. Legally, Joint-stock Corporations can be set up with a capital amount as little as \1, but for non –Japanese nationals to obtain a visa under the “Business Manager” status, investment scale is actually required to be a minimum of \5,000,000. Remittance of capital from overseas can take time in some cases. Number of shares issued at the time of establishment Can be decided arbitrarily, as long as it is within the number of authorized shares. Nationality or place of residence does not matter. Up until now, it was required that at least one of the directors has a residential address in Japan. As of march 2015, a notification from the Ministry of Justice has revealed that registration applications can now be received even if none of the directors lives in Japan. However, without an address in Japan, it is difficult to open personal bank accounts, which makes the procedures complicated and cooperation from a Japanese partner might be necessary. The founder is the individual who decided they wanted to operate a business and create a company. It can be one person or more. ※This lists only the most important matters of the Articles of Corporation. While there are activities that can be started at the owner’s convenience, for a number of them, it is necessary to obtain a license to engage in them or at least notify the adequate authorities. The first step should be to figure out what licenses and notices are necessary. If a permit is needed, it is most likely that there will be specific requirements to meet regarding total of capital, net assets, qualified full time employee, the size and layout of the office, etc. As a result, it is essential to investigate and take note of all these details and establish your business in accordance of all the requirements. Once the incorporation process is complete, it is necessary to fill the following notifications and submit them to the authorities in charge. ※Required in order to join the Worker’s compensation insurance system. ※Required in order to join health insurance, nursing care insurance and employee’s pension insurance. If non-Japanese nationals make up for more than 10% of the investors, it is required to notify the Bank of Japan before or after registration.